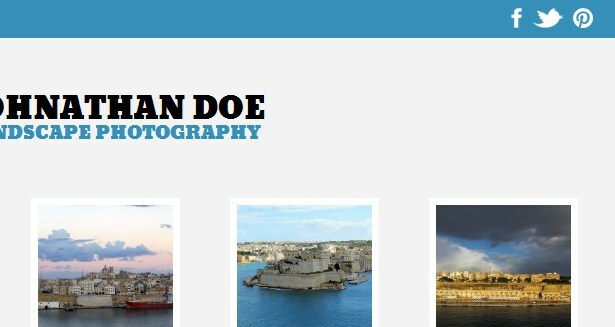 This documentation is provided for our Auto Focus WordPress Photography Theme. 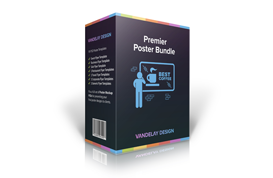 You may also be interested in the other free WordPress themes that we offer. If you’re looking for a hosting company, we recommend BlueHost. 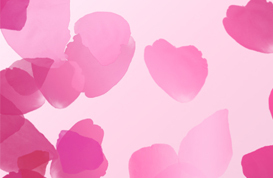 They offer quality shared hosting and responsive customer service at low prices. The video below shows how to sign up with BlueHost, install WordPress, and upload one of our free themes in a matter of just a few minutes. Read a more detailed explanation of why we recommend BlueHost. 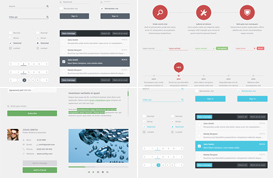 If you are familiar with WordPress and you are comfortable with the process of installing it on your site you can skip down to the theme-specific documentation below. 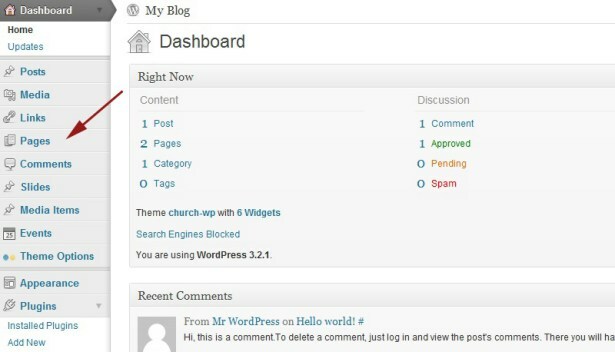 Because many people who use our themes have little or no experience with WordPress we start off by showing how easy it is to get WordPress set up. Follow the video below to get a domain name registered, web hosting set up, and WordPress installed in a matter of just a few minutes. This part of the documentation for our free WordPress themes assumes that you already have WordPress installed on your server or hosting account. 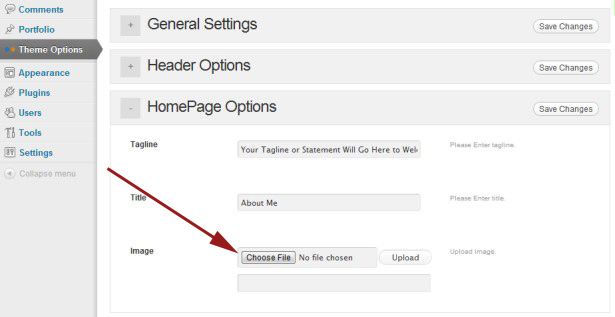 If you haven’t yet installed WordPress, please see the video on this page for instructions. 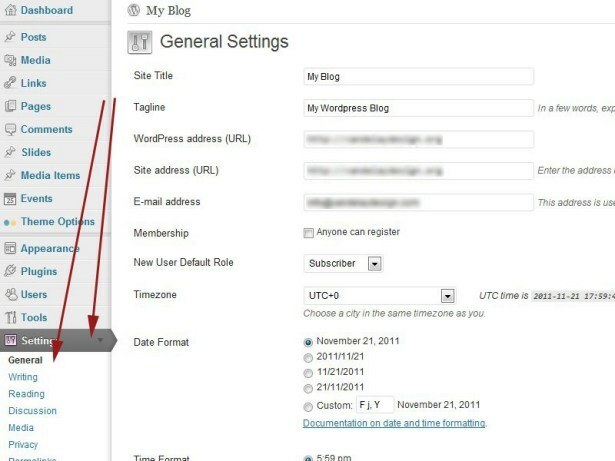 There are a few WordPress settings that we recommend changing or at least checking to make sure they are accurate. 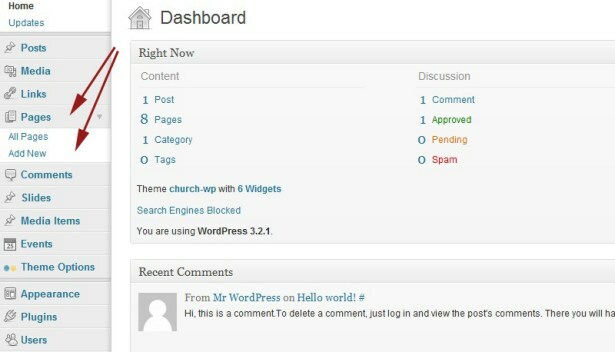 From the WordPress dashboard (which will be located at http://yoursite.com/wp-admin/) click on “Settings” in the left sidebar. Under the “General Settings” you can enter your church’s name in the “Site Title” field, and if you’d like you can enter a tagline in the “Tagline” field. Lower on the same page (General Settings) you can set your time zone. It’s usually easiest to select a city in your timezone. When you are done making changes, click on the “Save Changes” button at the bottom. Another change that we recommend is for the permalink settings. 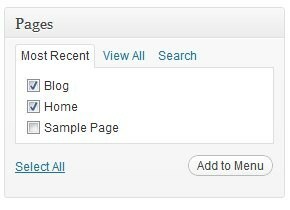 (Click on “Permalinks” under “Settings” in the left sidebar of the WordPress dashboard.) 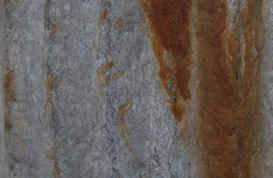 The permalink is the URL of a page or post created on your site. 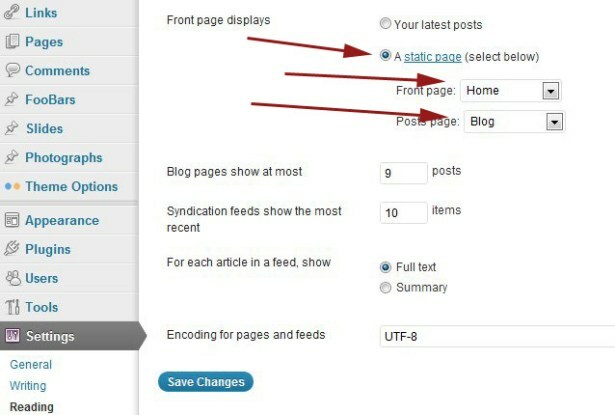 By default WordPress will give your page a permalink like http://yoursite.com/?=p123. That is not ideal for search engine rankings or for being helpful for your visitors. We recommend checking the box for “Post name”. This will give your pages URLs like http://yoursite.com/about-us/. That is much better for both search engines and human visitors. Click the “Save Changes” button when you are done editing the permalinks settings. 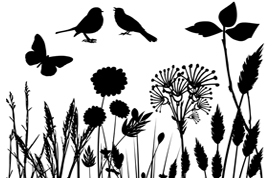 You’ll also want to make sure that your site will be accessible to search engine users. 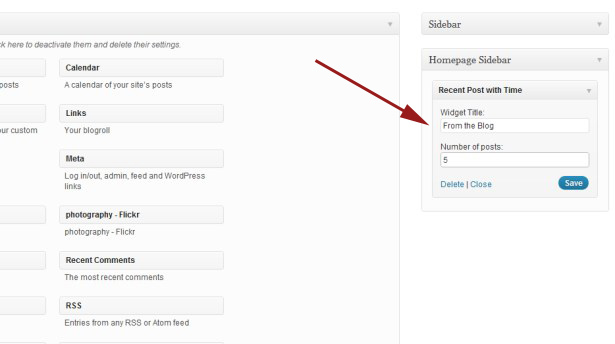 From the WordPress dashboard click on “Settings” and “Privacy” in the left sidebar. Then make sure the box is checked to allow the site to be visible to everyone. Click the “Save Changes” button when you are done editing the visibility settings. 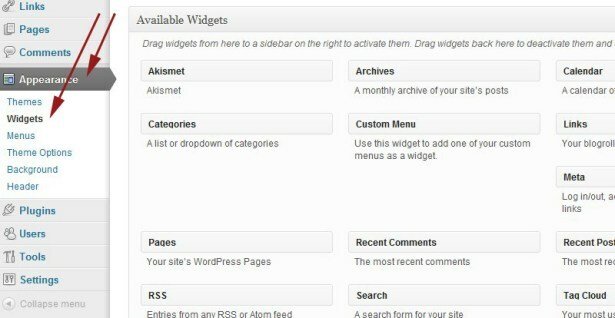 All you have to do to change the widgets is go to “Appearance” in left sidebar of the WordPress dashboard, and then click on “widgets”. If you look to the right side of the screen you’ll see a list of widgets under “Main Sidebar”. To remove any of the widgets, move you mouse over one of the listed widgets, left click (and hold the left mouse button) and drag the widget to somewhere in the middle of the screen, then release the mouse button. This documentation will take you through the steps of setting up your site using the Auto Focus WordPress Photography Theme. 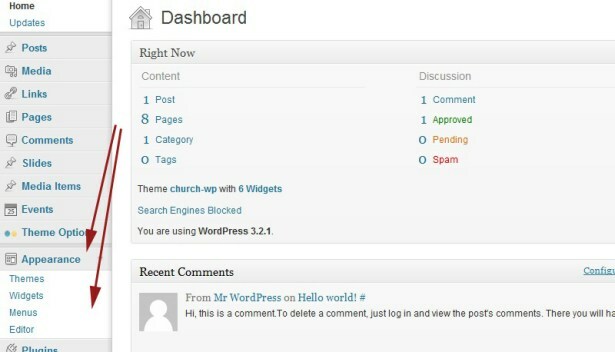 From the WordPress dashboard click on “pages” in the left sidebar. Then click on “add new”. 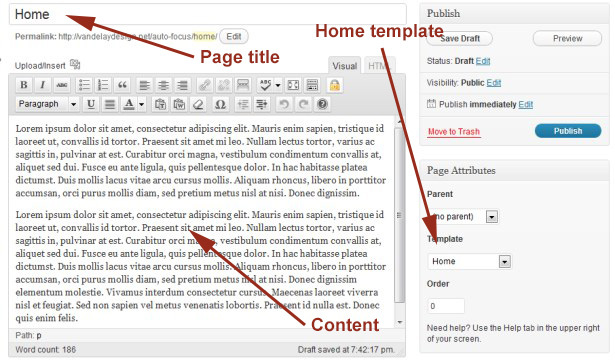 Title the page “Home” and under “Page Attributes” select “Home” as the template. The text that you enter on this page will be shown at the lower left section of the homepage, where we have the “About Me” text on the demo. Click “Publish” when you are done. 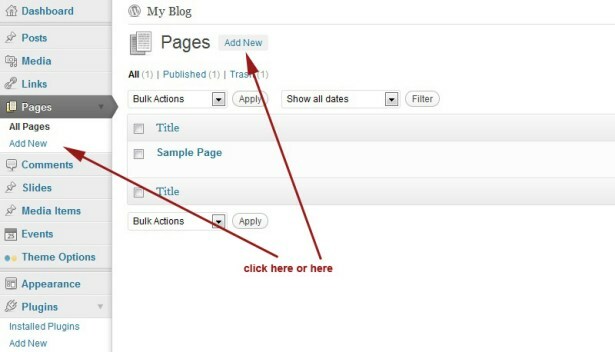 Then click “add new” again and add a page titled “Blog”. No content/text needs to be added to this page. Click publish when you are done. Then click on “pages” in the left sidebar again. 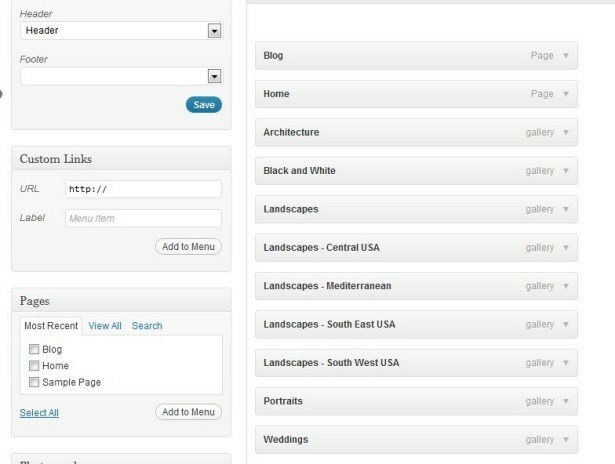 This will list the 2 pages that you have created plus a sample page that comes by default with your WordPress installation. Since you don’t need the sample page, click “trash” under the title (you will need to hover your mouse over the title to bring up the “trash” link). 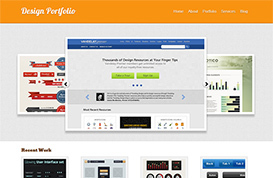 The last page we’ll add for now is the portfolio page to show off your work. Click on “add new page”, give the page a title of “Portfolio” (or whatever you choose to call the page), and select the “portfolio” template. 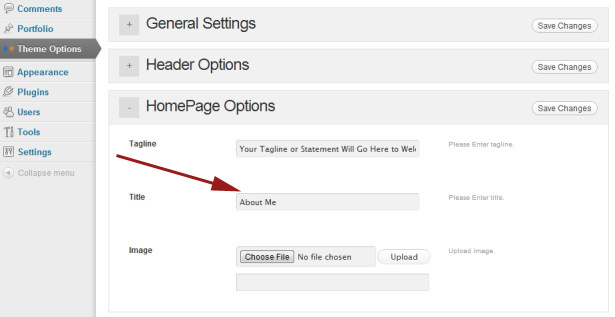 Now we want to set the “Home” page to be displayed when someone visits yoursite.com (your own domain name, of course). Click on “Settings” in the left sidebar and then click on “Reading”. You can also add whatever additional pages you like. All you have to do is click on “add new page” under “Pages” in the left sidebar, and then title your page and add content. You don’t need to add pages for your photo portfolio, we’ll create image galleries in an upcoming step. 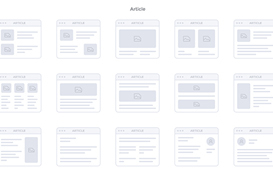 Examples of pages that you might want to create would be an “About” page, a “Services” page, or a “Contact” page. 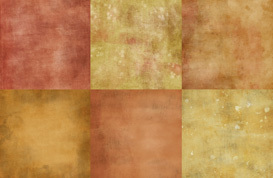 This theme comes with 5 color schemes. 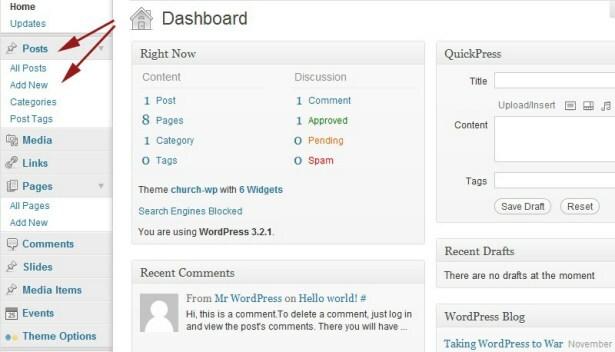 To select the color scheme that you want, click on “Theme Options” in the left sidebar of the WordPress admin dashboard. To set the color scheme, click on “General Settings”. The first option you’ll see in the General Settings is for the color scheme. Choose a color scheme and if you are done, click “save changes”. 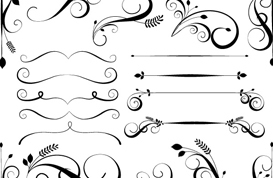 Of course, you’ll want your website to feature your own logo. 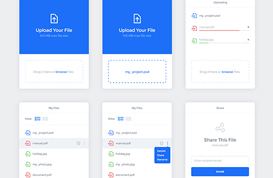 If you have a logo file ready (we recommend .png format) you can easily upload it through the theme options dashboard and it will be applied to the header of all pages on your site. 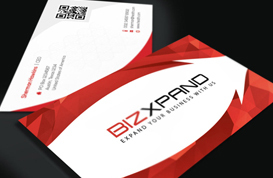 The logo file should be no larger than 346 pixels wide and 120 pixels high. 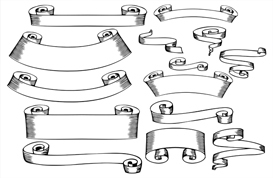 Larger sizes will cause issues with the layout. 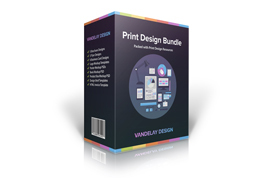 The logo options are located directly below the color scheme options in the general settings of the theme options. 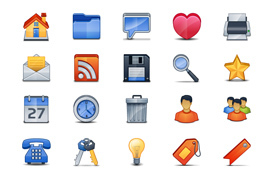 When you are done, click “save changes” and your logo should be appearing on your website. 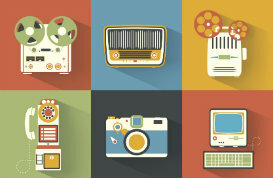 You can add new content to your website any time you need to. We’ve already gone over the process of creating a few of the key pages, but you can create new pages at any time by clicking on “Pages” and “Add New Page”. 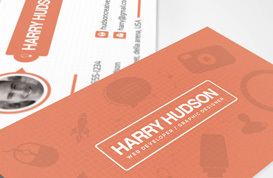 Your website can include a blog if you’d like. 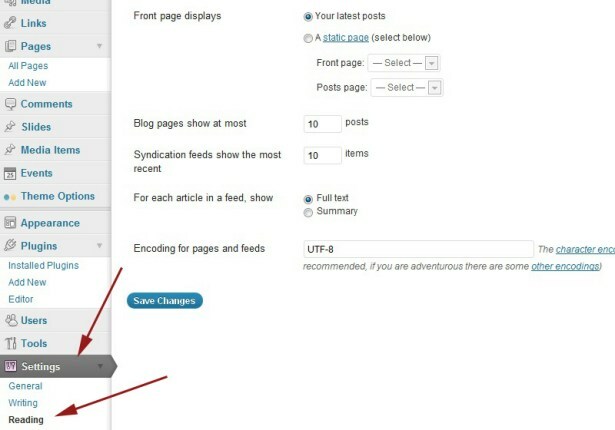 To create a blog post click on “Posts” and “Add New”. 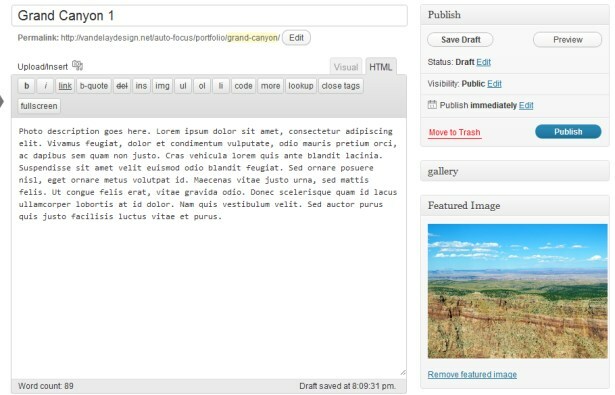 Entering a blog post is very similar to entering the content of a page. You’ll give it a title and enter the text. 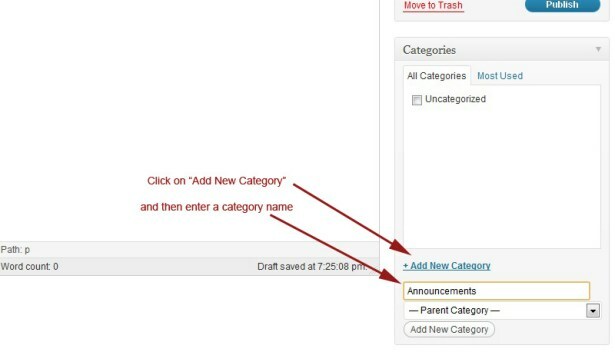 In addition, you can also create categories to help organize your blog posts. In the right sidebar click on “Add New Category” and enter a category name. You can add as many photos and as many categories as you want (assuming your host allows enough disk space. Check out BlueHost if you need unlimited space). Adding photos is easy. 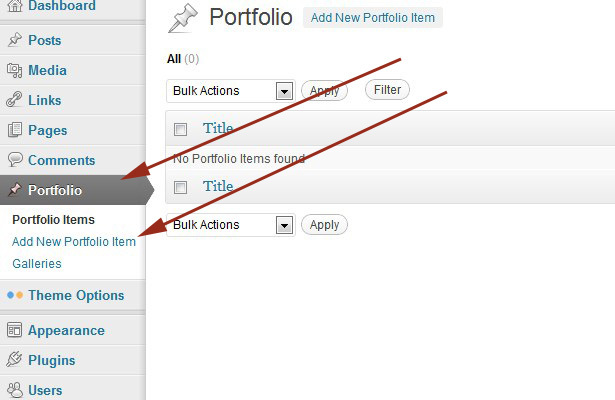 From the WordPress dashboard, click on “Portfolio” and then click on “add new portfolio item”. 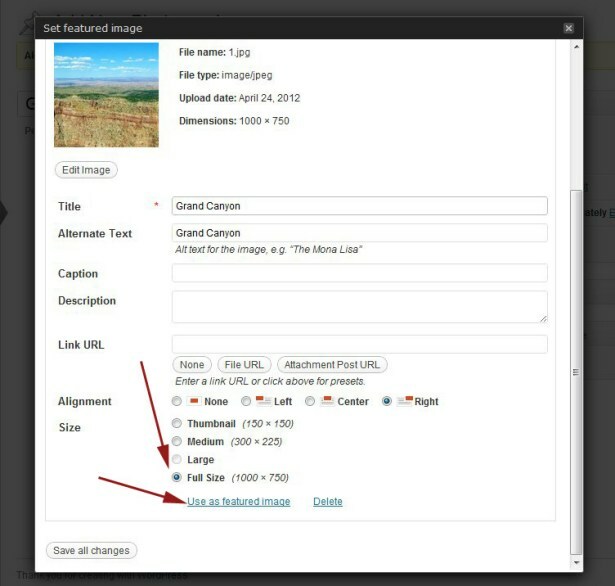 You’ll want to give your photo a title, a description, and then click on “set featured image”. Next, click on “choose file”. Make sure “Full Size” is checked and then click “Use as featured image”. Close out of that box and you should see a screen like this, with your image in the lower right. Click “publish” when you are done. Adding photos is as easy as that. 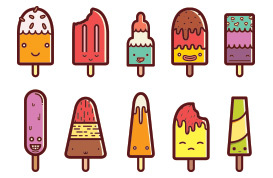 Now that you know how to add a photo, we can set up several galleries. Galleries are basically categories of photos. For our demo we’ll set up several galleries, but we’ll show the first one. Click on “Galleries”. You’ll then see a spot that says “add new gallery”. 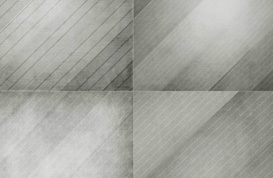 Give your gallery a name, our example is “Landscapes”. You’ll then also enter a slug. The slug will be used in the URL of the gallery. 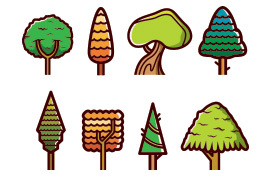 If your gallery title is one word we recommend simply using the word in all lowercase letters, such as “landscapes”. If you gallery title is more than one word, we recommend using hyphens instead of spaces between each word. As you are adding more galleries you may or may not want to use parent and child galleries. 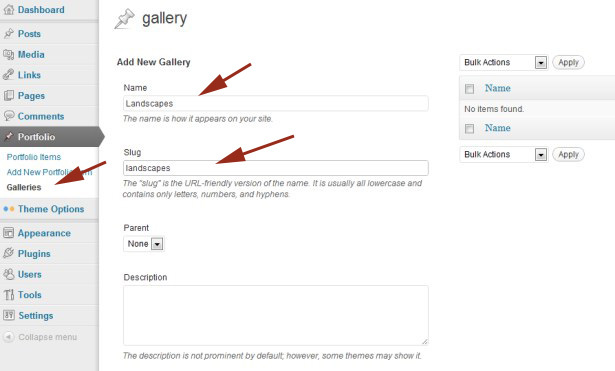 When you add a new gallery you have the option of setting a parent. An example of the parent-child relationship would be if we were going to add separate galleries under landscapes for different regions or states. So if we were creating a gallery called “Yosemite Landscapes” we could set the parent gallery to be landscapes. 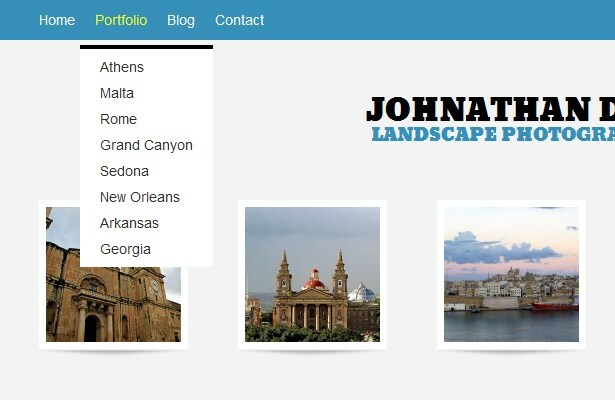 If you want to designate a photo that you have already uploaded to be in a particular gallery, click on “Portfolio”, where you will see a list of the photos that you have uploaded. Then click on the photo’s title and the edit screen will come up. From here you can select a gallery to the right side of the screen. You can add it to multiple galleries if appropriate. You can also create new galleries from this screen. When you’re done, click the “update” button to save the changes. 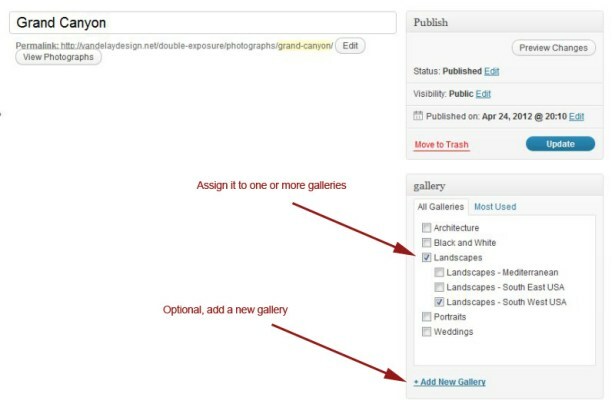 Going forward, you can just assign photos to galleries whenever you upload them. 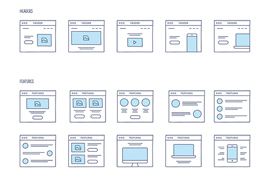 One of the most important elements of your website is the navigation menu because it has a big impact on the usability of the site and allowing visitors to find the content that they want. You have full control over the links that are included in your navigation menu (the same menu will be used on all pages of the site). 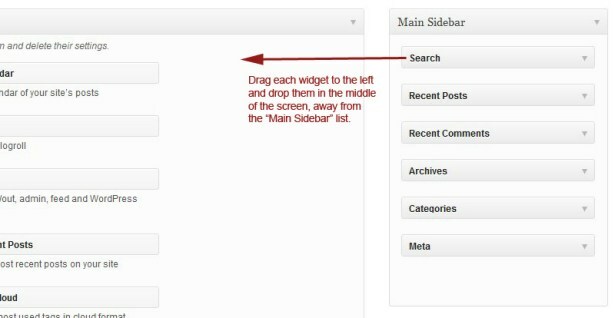 Please note: If you don’t do this step, the theme by default will include a menu with all of your pages. 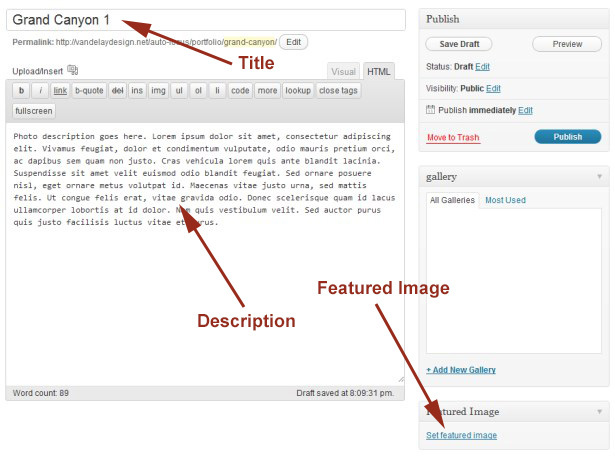 From the WordPress dashboard click on “Appearance” and “Menus”. 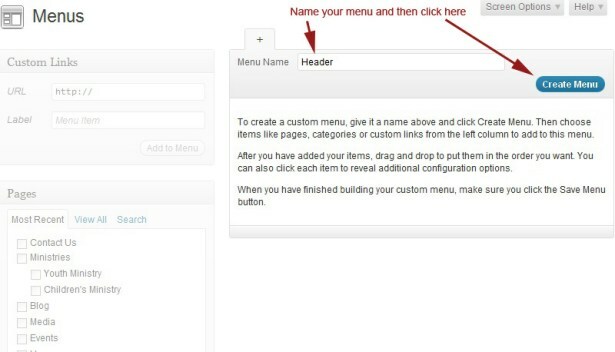 Enter the name “Header” for your menu and click “Create Menu”. 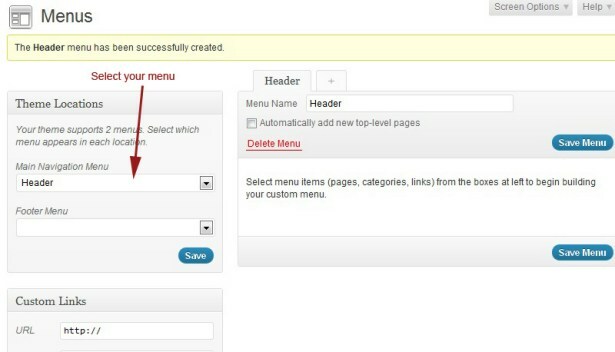 Then select your “Header” menu in the dropdown for “Main Navigation Menu” (this step is needed in order to apply your custom menu to the site’s header). 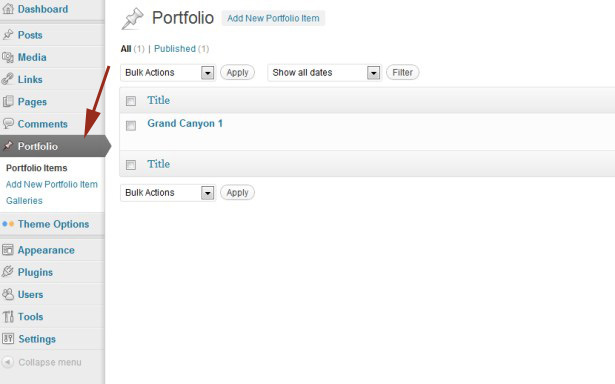 Now move down a little lower on the page and you’ll see a list of all the pages that you have published. 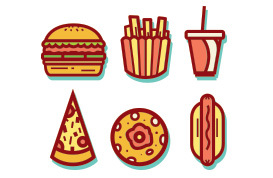 Check the box next to each page that you would like to add to the menu and click the “Add to Menu” button. After clicking “Add to Menu” the pages that you have added will appear in a list at the center of your screen. Next, we’ll also add some links to our galleries. Below the list of pages (to the left) you’ll see a list of the galleries. Check the boxes for each category that you would like to add to your nav menu, then click “Add to Menu”. Please note, if you are not seeing the option to add your galleries to the menu, look to the top right of the screen and click on “Screen Options”. Then check the box for “gallery”. 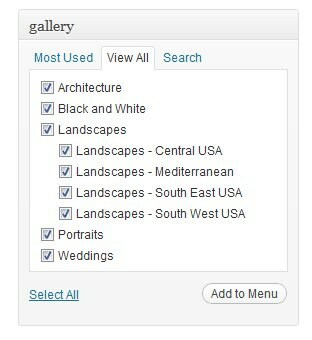 Your menu should now list all of the pages and galleries that you have checked. You can drag items up or down to change the order in which they are displayed (to drag, click and hold the mouse button while moving the mouse up or down). If you want to make certain links appear in a dropdown menu, move the item slightly to the right. For example, we want the child landscape galleries under the parent landscape gallery. This will place them in a drop down menu under “Landscapes”, so we will move them slightly to the right under “Landscapes”. When you’re done click “Save Menu” and the changes will be applied. Now you can check your site and see the menu in action. 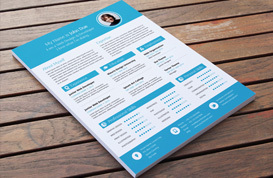 The homepage template includes an area to place a tagline, statement, or a brief welcome message to visitors. 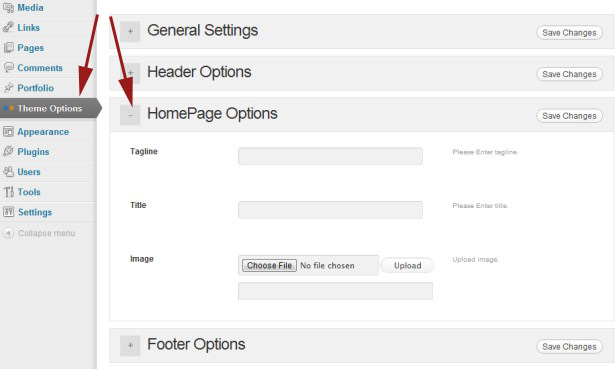 To set this up, click on “Theme Options” and then “HomePage Options”. 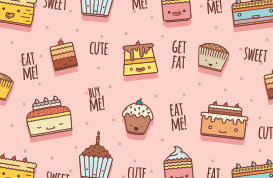 The first field is where you will enter your tagline, and then click save. You should now see your tagline on the homepage. 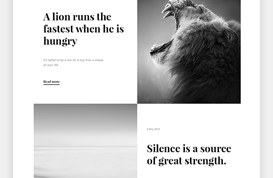 The lower left area of the homepage was intended to display some biographical text about yourself, but you can use this area for whatever text you want, The text is pulled from the homepage that you set up earlier, but you also have control over the subheader that is shown above the text. 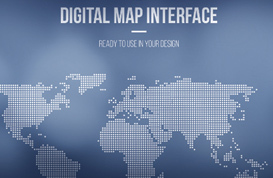 You can set this right below where you entered the tagline. 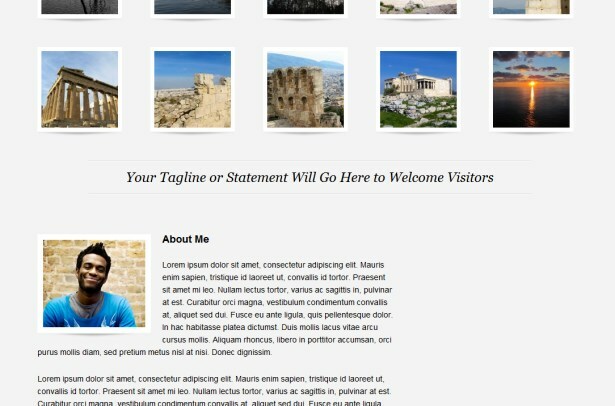 This “About Me” area on the homepage is also designed to include your photo. You can add this from the area right below where you just entered the tagline and the subheader. And now if you visit your homepage you can see your tagline, subheader, and photo. 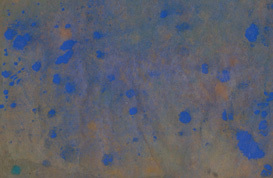 You’ve probably noticed that the lower right area of the homepage is currently blank. 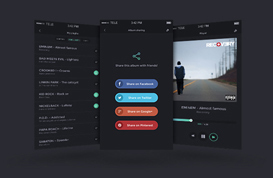 You can set this area to show whatever content you want by choosing a widget. Click on “Appearance” and “Widgets”. To the right you’ll see “Homepage Sidebar.” You will drag and drop whatever widget you want to display in that area. 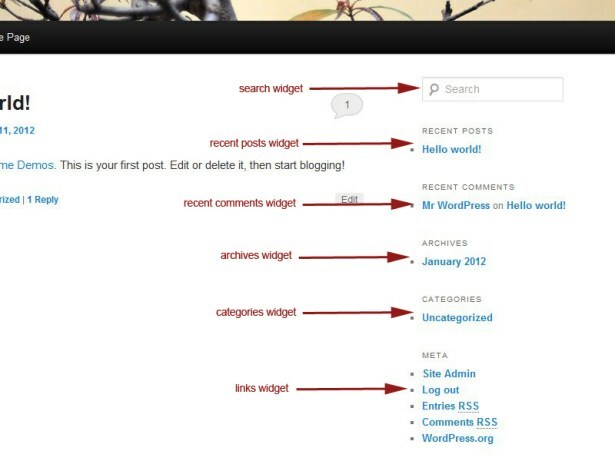 The theme was designed to show links to recent blog posts, but you could choose some other widget like the text widget (set you own custom text), recent comments, blogroll, etc. For the purpose of this documentation, we’ll choose the one called “Recent Post with Time” and drag it below the “Homepage Sidebar”. We’ll then give it a title and set it to show links to 5 posts. While you are there you can also set the sidebar widgets above. 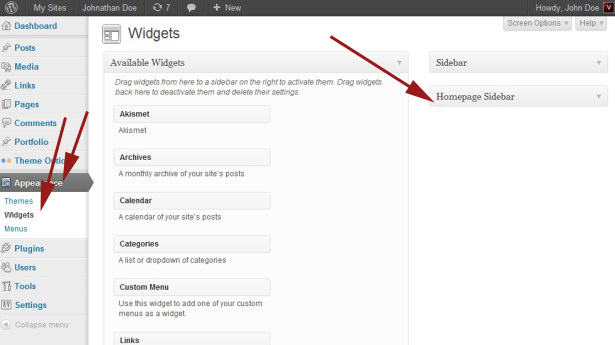 These widgets will be shown in the sidebar of posts and pages, aside from the homepage. 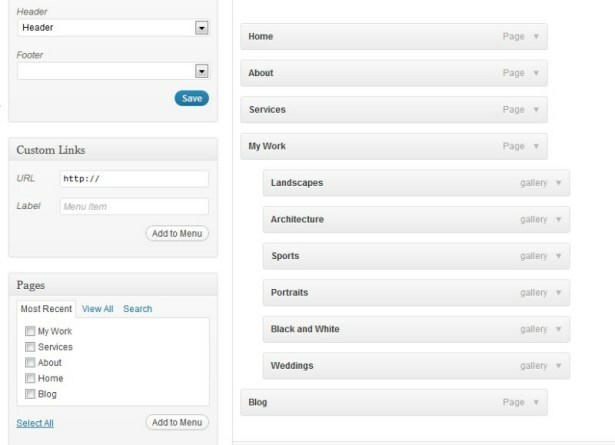 This theme is design to (optionally) display links to your Twitter, Facebook, and Pinterest profiles in the header. 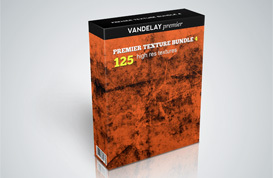 Go to “Theme Options” and “Header Options” and paste in teh links to the social profiles that you want to promote (the entire URL, for example http://twitter.com/vandelaydesign). Then click “save changes” and the links will show up in your header. The last thing to do is enter the address to be shown in the site’s footer. 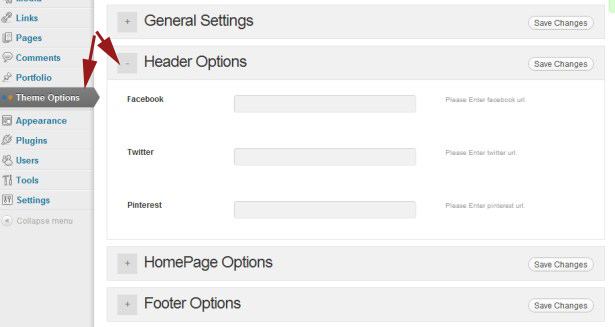 Go to “Theme Options” and “Footer Options” and enter your address (optional). After it is saved, the address will be shown in the site’s footer. Disclosure: As a Bluehost affiliate we receive a commission for any customers that we refer. Our recommendation is based on our experience with Bluehost, as well as the needs of our typical customers and readers. 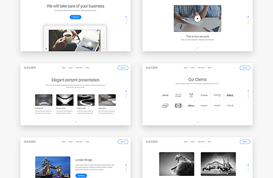 You are free to use our templates with the web host of your choice.